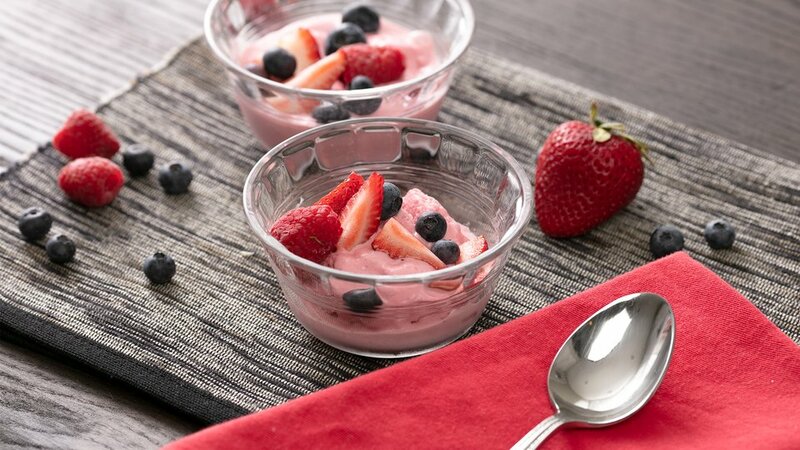 Frozen yogurt is an easy treat to make at home, and this quick DIY recipe allows you to control the protein and sugar so your favorite sweet treat won't upset your macros. Enjoy this simple recipe as is, or use it to inspire similar variations using frozen blueberries, blackberries, or peaches. Serve immediately in a bowl or store in freezer.